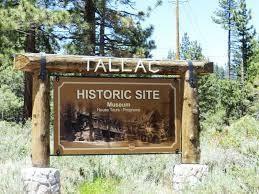 This tour is being co-hosted by the South Tahoe Garden Club and the Tallac Association. The free tour begins at 10:00, starting on the lawn directly behind the Valhalla Grand Hall. We will be selling some refreshments and champagne prior to the start of the tour, with proceeds split amongst the tour hosts. Limited on-site parking will be provided the day of the tour. This initial tour of the estates is limited to members of the Garden Club (and their guests) and Master Gardeners. We have been asked by the Tallac Association staff to limit our number for this first tour, so reservations are important. Laurie Brazil of the South Tahoe Garden Club has agreed to handle the reservations. Her contact info is laurelle27@sbcglobal.net and phone 530-409-2791. If additional tour information is needed contact David Long. davidmlong@earthlink.net.